Of all the difficulties and challenges that China faces, the debt issue is considered to be one of the biggest potential risks to the country's economy, and how to refrain the leverage ratios from rising too fast is directly related to the stability of China's economic transition. Data from the Bank for International Settlements (BIS) show that as of 2015, China's government and corporate and household sectors collectively had $26.6 trillion in outstanding debt, 255 percent of GDP. Statistics from domestic institutions are comparatively lower than those of international ones. According to Yi Gang, vice governor of the People's Bank of China, China's overall leverage ratio stood at 234 percent at the end of 2015, which was high compared to other countries. Despite the statistical differences, both domestic and overseas institutions seem to agree on China's relatively high leverage ratios, and thus the focus lies in whether China can deal with and figure out how to rein in the leverage increase. In regard to China's debt structure, it can be seen that the household leverage has continued to increase, especially in home purchasing. As China's housing bubble is not small, previous monetary loosening has prompted more new bank loans in the property sector. This year, the trend is becoming more obvious as almost half of bank lending has been directed to home purchasing among households. Even though some regions have already issued home-purchasing restrictions in an attempt to cool the property market, as long as there is no dramatic pullback in property prices, the situation in which household savings flow into the property market will continue and the rising leverage is unlikely to change. Additionally, the banking sector is happy to see the continued development of such a trend as long as new lending occurs. On government leverage, despite the tightened fiscal budgets in the central and local governments, the leverage ratios are also expected to increase in the coming years. First, for the stability of growth and of society, and under the circumstances where new growth momentum has yet to form and develop, the central government is expected to continue investing substantially on infrastructure. In addition, fiscal expenditures will inevitably expand due to intensified efforts on reducing excess capacity and settling reemployment. Moreover, fast-paced growth in the aging population and more migrants from rural areas in cities has required more fiscal input from local governments for social security and public services. According to media reports, Zhu Guangyao, China's vice finance minister, said in early September that the country would hold an important economic meeting to discuss China's fiscal deficit after the G20 summit. We expect that there is a great possibility that China's fiscal deficit ratio will be increased to a level of 4 percent or even higher. 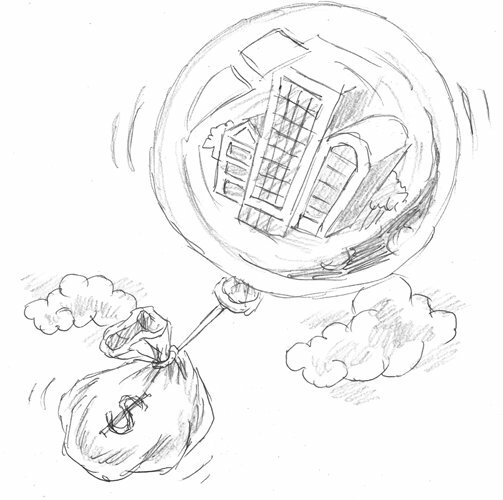 In our opinion, China's debt risks are mainly reflected in the leverage of the corporate sector, especially high leverages in the State-owned enterprises (SOEs) and central government-administered SOEs. According to a report by China Business Journal in September citing an unnamed source from the State-owned Assets Supervision and Administration Commission of the State Council (SASAC), in recent years, the indebtedness of China's central government-administered SOEs has risen from 4.3 trillion yuan ($636 billion) in 2008 to 31.1 trillion yuan in 2015, with debt-to-asset ratios increasing from 58.4 percent in 2008 to 66.2 percent in 2015. For a long time, China's SOEs have been the largest borrowers from banks at extremely low costs, but their efficiency of allocating resources is low. For these SOEs, their debt scale has continued to pile up, which has forced them to spend more time and effort on interest and loan repayment. Facing downward economic pressure in the future, their investment efficiency and profitability is likely to be further squeezed, and their investment losses and debt scale are expected to expand further. The unnamed source from SASAC believes that the most direct method to reduce indebtedness in central government-administered SOEs is to reduce the holdings of State-owned stocks, as this would alleviate financial costs and lower the debt ratio. In industries that affect people's livelihood, it would be sufficient enough to take control as long as the State-owned holdings accounted for at least 51 percent. But in reality, under the influence of such a dominant idea of "becoming stronger," there is hardly any progress in the mixed-ownership reform among SOEs, let alone reduce SOEs' indebtedness. We believe the core issue in reducing the high leverage in the country's corporate sector lies in reducing the indebted level of the SOEs. For a time to come, China's overall debt level is expected to continue to increase, with major debt risks in the corporate sector, SOEs in particular. In this respect, reining in further debt expansion in SOEs is an urgent goal for SOE reform.